I have a little catching up to do here on the blog as I missed reporting on anything in 2014 and there was a lot happening on the Crayola crayon front. But let's start with this year as there were many changes this year too. The Minion set came out in 2015. It was another set of theme'd boxes with 8 colors and available in Target stores. The big news there was the introduction of a new color: banana bonanza. 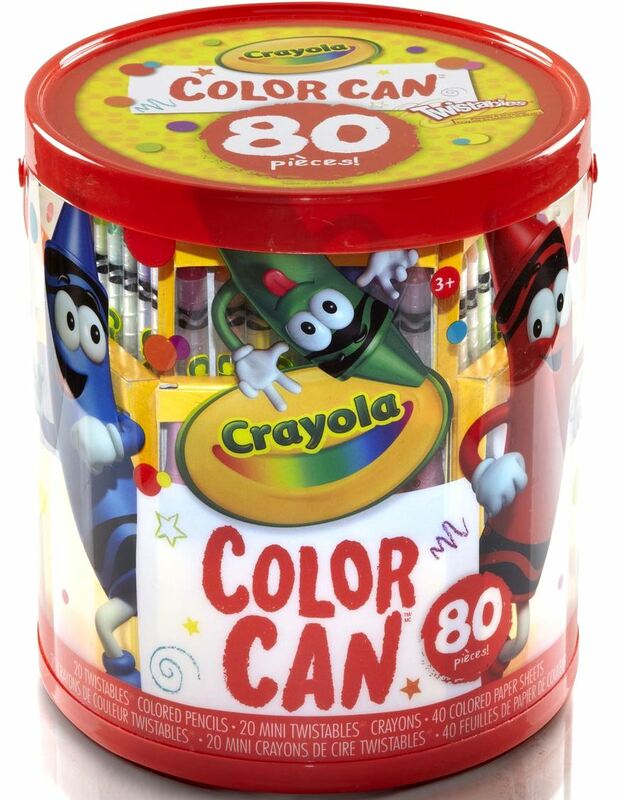 Each box in the set contained this new crayon color along with specially chosen colors from Crayola's catalog of active colors. This was all for the promotion of the Minions movie that came out during the summer of 2015. Crayola also did a Pip Squeaks set too. There were also changes to their standard product line. They redesigned the larger boxes (64, 96 and 120) to bring back Tip on them. Interestingly, each box is different in design; they didn't just clone one image of Tip and use it on all three box sizes. No changes to the color line ups here though. There are always sets that include crayons along with other art mediums that Crayola offers and this year they also added the Crayola Color Can. This is a combination set of Twistable crayons, colored pencils and markers. There are 20 different Twistable crayons in this set; all of which are part of the standard color names they offer so nothing new here for you color name collectors. But fear not, Crayola wasn't done there. 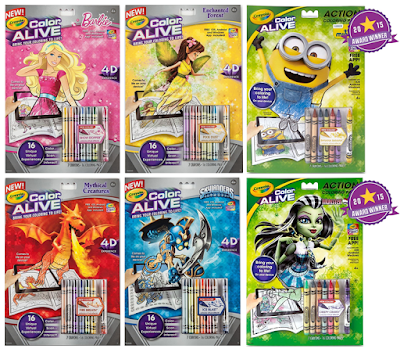 They introduced an award winning Color Alive set that features not only new colors but a revolutionary way to color and then bring the coloring into the digital world. These are dated 2014 but showed up int 2015 to retail. They brought us 6 new colors too which I featured in a previous post on here. 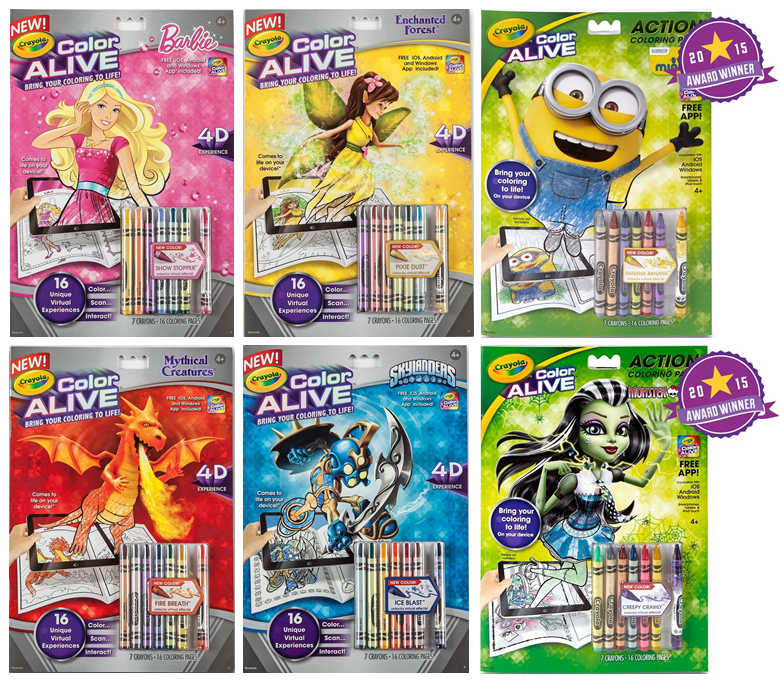 As in previous years, with the addition of all these theme'd sets and new concepts, we can happily say that Crayola is not resting on their dominance laurels at all. And as collectors, we benefit from their ambitions. 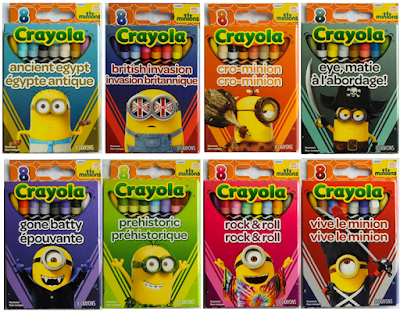 This is a nice collection of custom crayons.